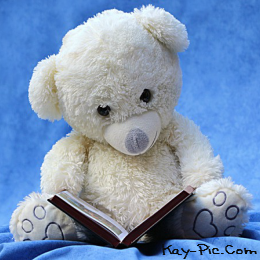 This page has some useful parent child reading tips to ease your toddler into reading for when he is older. Why Read To Toddlers Anyway? Because reading is one of the greatest gifts we can give our kids. As well as the obvious advantages to do with concentration, school grades and thinking skills, a good book is just plain enjoyable. But a child needs to be shown just how fun they are. Parent child reading is also important one-to-one time, when you can relax together and have a cuddle. But What If They Won't Sit Still? Between the ages of 2 and 3, my son was - on the surface - not interested in books. With an attention span shorter than my-bitten-down-to-the-quick nails , reading lasted about as long as it takes me to spell the word itself. The librarians would groan when they saw us coming! But I persevered, and I now have a 3-year-old bookworm on my hands. Follow my tips below and you too will have to start rationing bedtime stories. So...how do you ready your child for reading? The single most important thing is to MAKE IT FUN. Your toddler must see reading as enjoyable.Her definition of 'reading' might differ dramatically to yours, but at this stage it really doesn't matter. Don't underestimate the positive effect you are having on your child by offering to read a book with her. Parent child reading at this age is sometimes anything but quiet and thoughtful. Ignore all these negatives - you are getting your toddler into a habit to last a lifetime. Join a library. As well as the obvious money-saving advantages, many libraries have children's story sessions - great if you have a youngster able to sit still long enough to listen. If not, don't force these sessions on your child. Some have Parent Child Reading Groups, where you can try the book before you buy. Let your toddler see you reading. Children learn by copying their parents (just wait til they start speaking!) so read for pleasure while he's playing with Daddy or his building blocks. No need for War and Peace - I have a friend who used to read Jackie Collins novels to her newborn! What Should I Read To My Toddler? Balance new topics with their favourite subjects. Parent child reading should be fun for your little one, and we all get more pleasure from exploring about our interests.If your son is tractor mad, why not indulge him? Mine had a stage where big machines books were all he wanted. I made sure I offered him other types of books, but I always let him choose. 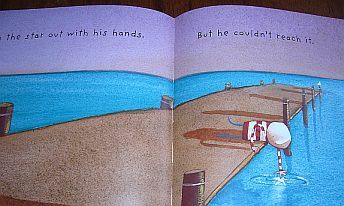 I have never met a toddler who doesn't love interactive books - lift the flap, pop up and turn the wheel books are always popular. Infact my third son, got his first full sentence, from a press the button book. It was "Big Red Hen" and he loved pressing the button that said "I'll do it myself"! Colourful, bright and simple illustrations are very attractive to tots. The British illustrator Nick Sharratt has got this down to a tee. Don't worry if he cannot concentrate on a book for any length of time. Lack of concentration is the hallmark of toddlerhood, but as your child develops, so will his ability to sit and look at a book. Make reading a special time if possible. Turn off the TV, switch off your phone, cuddle your child and give your undivided attention when you can. If not, make the best of it. I found it quite easy to breastfeed my newborn while sharing a story with my 3-year-old, and he was quite happy with this. Let her choose which book she wants to read. If you get sick of the same one, it can always magically 'disappear' for a few days! Encourage him to turn the pages. At one point, turning the pages - and fast!- was all my son wanted to do. We could have got through Crime and Punishment in about 5 minutes flat! Don't get frustrated - this is just a stage. Instead, praise him for being so clever. There is no point in making parent child reading sessions a source of stress. Oliver Jeffers' beautiful children's book "How To Catch A Star"
So often your toddler gets given a book, and you discover that their boredom threshold is far higher than yours. Bedtime stories should not be such a chore. This delightful book made me want to read it to my toddler again and again, not just because it's good for him, but because I enjoyed it so much myself. The Story - one boy's quest to find his very own star. After waiting patiently all day to see one, he follows its reflection down to the beach, dreaming of how he might fly up and get it in his spaceship. I really liked the imaginative twist at the end. For a sit down Parent Child reading time, this book is great. The Illustrations these are relaxing just to look at, with a cartoon quality that is simple - but the colours are gorgeous. Toddler bedtime stories often just involve reading the pictures. These illustrations are simple and uncrowded. Read them out yourself and see what I mean. I found that when I slowed down and read more quietly, my normally boisterous toddler also sat still and listened properly. It is also the only time he has ever been known to whisper! The Length - there is not much text on each page, and the story itself is quite short. This makes How To Catch a Star a brilliant book to read when you are really tired - it does not feel like work, as some longer and more boring books do.